I was surfing the internet the other day and I came across A Pumpkin and a Princess who had a great idea…Wrap gifts with your children’s artwork. As a mother you probably have so much children’s art sitting around, on your walls and on your refrigerator. I know you hate the feeling of throwing any of your children’s artwork away. That feels terrible. But, what else can you do with the extra artwork you can’t possibly display? How about use their artwork as wrapping paper. Children go to so many birthday parties. Frankly, my children have more of a social life than I do. They are constantly going to birthday parties. 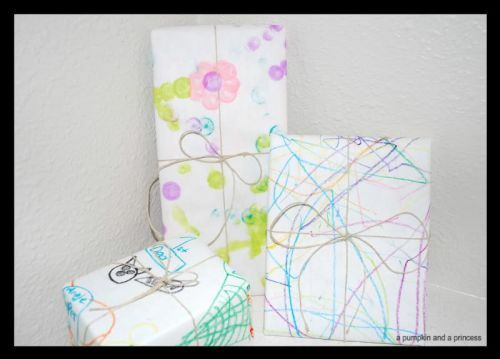 Use your children’s beautiful artwork to wrap the birthday gifts. And, you don’t have to just stick with children’s birthday gifts. Your family member will love opening gifts wrapped with your children’s artwork. It is so much more special than using store bought wrapping paper and a lot cheaper. Plus, it helps the environment to have another use for your children’s artwork. 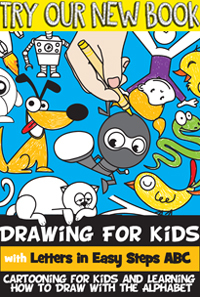 So, let your kids keep drawing and coloring away without fearing that you will have to eventually throw them away. Simply store that artwork away for a future gift giving event or birthday party. It will give you a good feeling to know you are doing something special with your children’s artwork.